It was in 1895 that Herbert Bullen, a foreman carpenter by trade, started his own business as a builder and contractor on the very same site at Central Road, Cromer, as that occupied by Bullen Joinery. 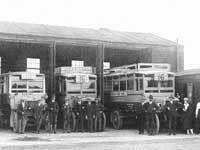 Mr Bullen built up a reputation for thoroughness, high quality of workmanship and reliability, and these attributes helped him to expand his business, which was incorporated in 1925. It remained principally a small jobbing family business but demand for its services was such that it quickly grew and developed a high quality joinery manufacturing brand. 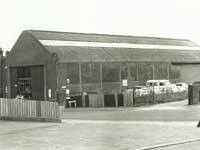 On the 1st July 1935 R G Carter Limited acquired the business, this enabled the company to continue to develop with a significant parent providing financial security and sustainability. 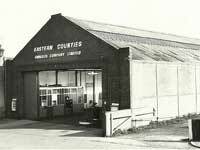 An old ‘Bus Garage’ at Bullen Joinery that has been at this location in its various forms for 120 years remains at Central Road and is used now for our linings line. During the sixties the company was appointed to manufacture joinery on several projects for Methodist Homes for the Aged, in Essex, Sussex, Dorset, Lancashire, Wales and the Isle of Wight. Throughout the 70’s 80’s and 90’s the company continued to flourish enhancing its reputation marked by bespoke joinery having been installed in many notable buildings within the area which include Cromer Hospital, Cromer Police Station, Ivy Farm at Sidestrand, Gresham’s School, St Alban’s Church in Norwich, Norfolk Canneries at North Walsham, Sheringham County Primary School and the Old Cromer Telephone Exchange. Bullen Joinery has also been continually involved in Restoration works at many historic buildings in the area, including Felbrigg Hall, Mannington Hall, Heydon Hall, Walsingham Shrine and numerous Churches. To meet the challenges of the 21st Century the company has developed a comprehensive bespoke joinery service and can provide a full design, manufacture and installation service for its clients. 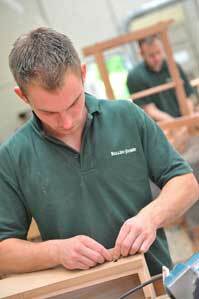 Bullen Joinery is especially proud of its ‘quality brand’ which offers the full range of traditional trade skills in the manufacture of all types of joinery. 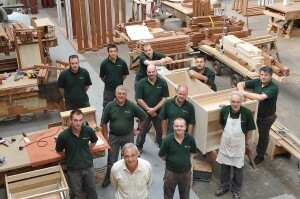 Throughout the years Bullen Joinery has received numerous awards for its craftsmanship and skill in all facets of its operation, and continues to hold these traditional hallmarks and skills of value in today’s activities. A strong family atmosphere has been present within the firm especially when both Father and Son have been employed and working together. It has also been very credible that so many employees have remained loyal and achieved long service awards for 25 years and some 50 years of service. Now part of Youngs Doors Ltd in the DBS Group of Companies within R G Carter, Bullen Joinery looks forward to its next century with the qualities and ideals of the past continuing, feeling confident it can meet the challenges of today.